5) BB quizzes get a special place in Hell. 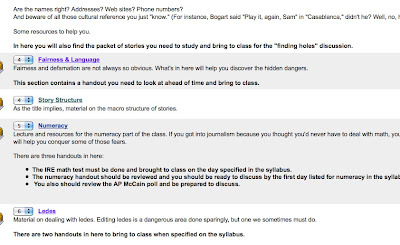 In addition to the drag and drop (not) above, the software has some special "features" that make it difficult if not useless for those of us teaching language-related courses. 3) Update: Why, I almost forgot my most recent vexation - copying a file to another directory and then being unable to set the order of items because the file you copied has become co-joined with some other item (see photo - notice the two 4's) and everything gets screwed up when you try to reorder one of them. (I finally figured a work-around (emphasis on more work) - copy the item a second time. Then delete the original one you copied. Everything snaps back into place. I could probably find more, but this is a good start. 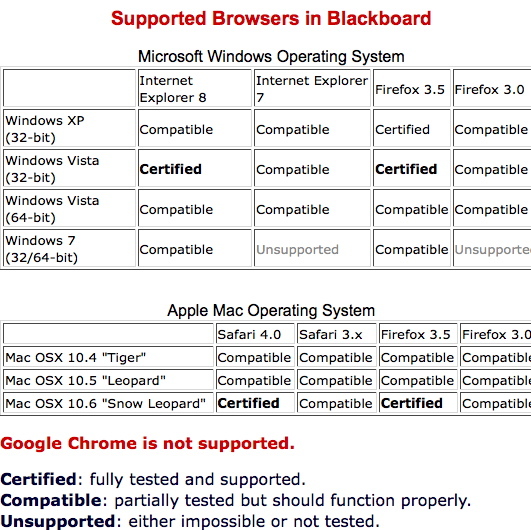 It's 2011, but Blackboard is so 2001. The folks at my school are exceedingly helpful. They raise these issues with BB and on user groups as far as I can tell, but the solutions are few and far between. - Still, the drag and drop feature so if you have something in one folder and want to move it to another (for instance if you have weeks of reading set up in the left rail), you can just drag it instead of using that clunky Move or Copy procedure. - A calendar that lets you enter things like tests and assignments due and generates, if you want, an automatic announcement that you can set for up to five days ahead, just like most of the rest of the world's online calendars do. - Less inscrutability in formatting a class site. It seems to want to force you into one of the preset formats. 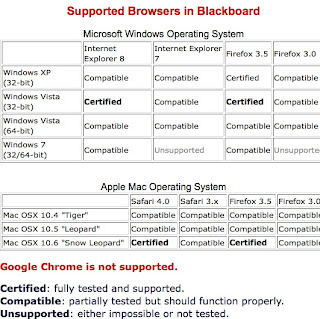 I used blackboard for 2 1/2 years as an online student, and suffered through it. I never got to see it from the teaching end. 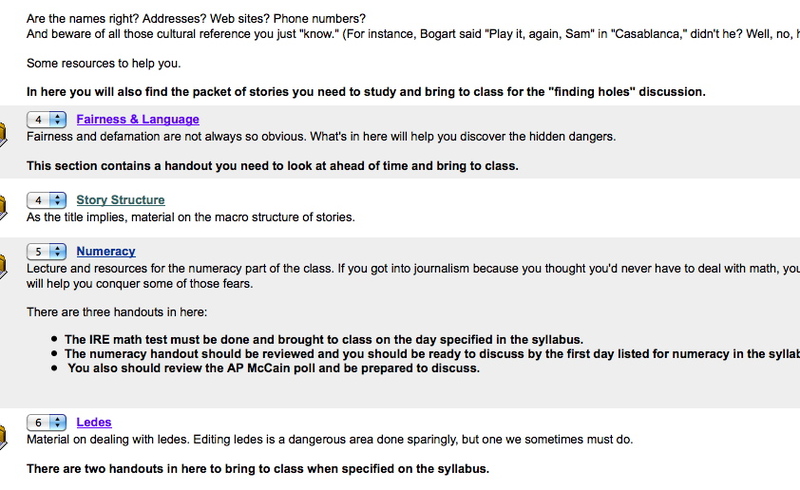 Now I'm an online course instructor using -- thankfully -- BrainHoney. It works pretty well. We're switching to Sakai over the next year at UNC. I'll let you know how it goes. Yes. I've heard relatively good things about it. Brain Honey - that's a new one I hadn't heard of, but they keep popping up. Lord knows that there are plenty of reasons to criticize Blackboard the product but it has had drag-and-drop throughout the interface for over 2 years now. Perhaps you can either get your university to upgrade or export your course and import it into the free online version called CourseSites and see that Blackboard has actually addressed a lot of these issues. Good to hear, though only about five years late on that technology. Only leaves five reasons to hate BB plus a few bonuses. Doug - have you seen Ginkgotree, yet? We specifically created it because of feedback we got from professors. We're a small edtech startup out of Ann Arbor, MI, and I'd love to hear what you think of it: http://www.ginkgotree.com. You can email me from the bottom of the page. There are so many pet peeves. Mine (now in Sept '14) is that when you have a collection of quizzes to reset for a new edition of a course it must be done one by one, clicking through countless settings. Not even a spreadsheet-like listing of all the options for all the quizzes so they can be set and confirmed that everything is as you like it. It is pathetic. I believe Blackboard wastes millions of person-hours per year around the nation. And wouldn't it be nice if you could combine pools -- or be able to extract questions from several pools into a new pool? Guess that 2008 database class passed them by.